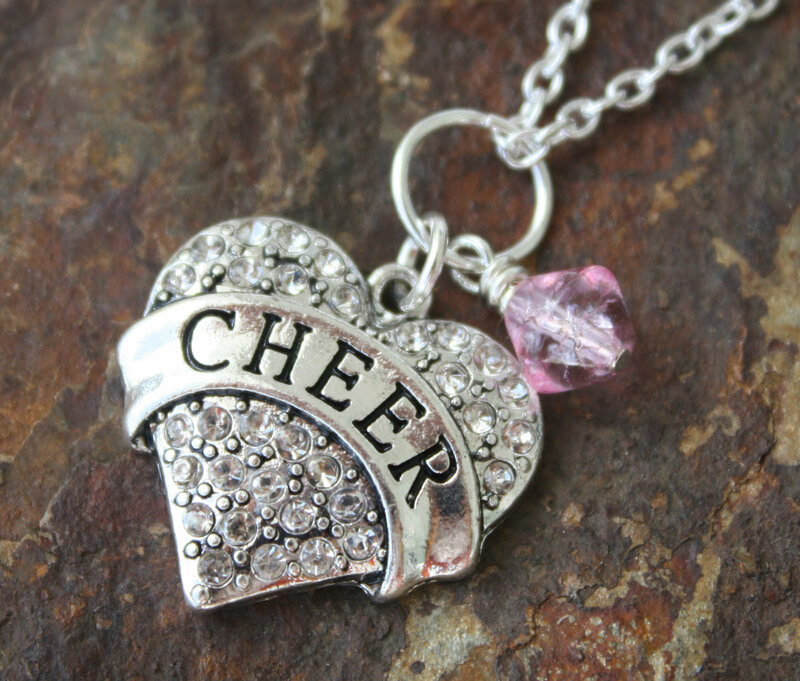 Beautiful heart with clear crystals and the word Cheer across it. A crystal or stone in your teams’ color can be added. Great gift for members of the Cheer Team or Cheer Moms. Categories: A Little Bit of Everything, Collegiate Jewelry, Dance & Cheerleader Jewelry, High School Teams, Shop, Sports.